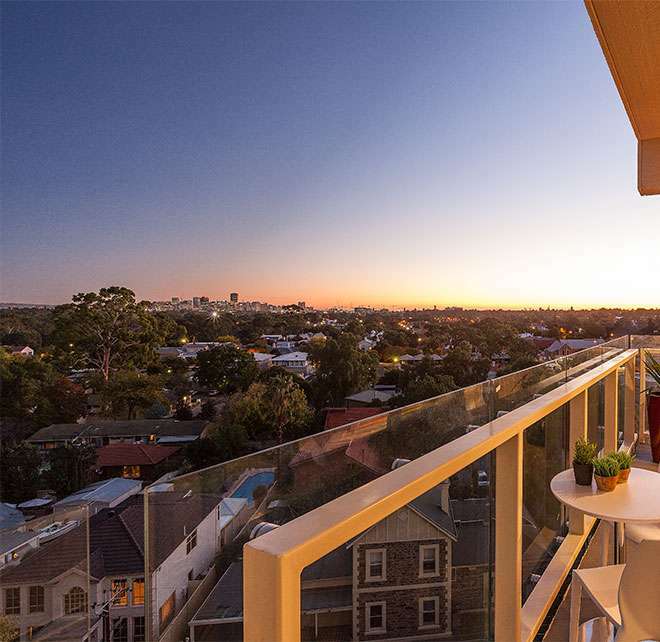 Comfortably compact and easy to navigate, Adelaide is an inspired option for a relaxing retreat. Ride along the Torrens River and explore the CBD, or explore further afield to world class wine regions like the Barossa Valley and McLaren Vale. Here's our best of the bunch. Boasting stunning landscapes and some of Australia’s top wine providers, both the Barossa Valley and McLaren Vale wine regions are well worth the trip out of town. A cruisy drive will get you there in time for a brunch or early tapas session, then enjoy an afternoon meeting local makers, exploring cellar doors and sampling all the local treats. Get your retail fix in the East End District of Adelaide CBD, a cosy corner between Frome Street and East Terrace that houses some of the city’s best boutiques, bars and restaurants. Pick up a gift to take home or spoil yourself with a wander along Rundle Street east and it’s adjoining streets, or head down there early for some of the city’s best coffee at Exchange Speciality Coffee. Located in the top right corner of the CBD block, it’s perfect for an easy bike ride along the River Torrens. Australia's oldest Aboriginal-owned and managed multi-arts centre, Tandanya is a celebration of the Indigienous people of Australia and beyond. Encompassing several gallery spaces, there is an incredible range of exhibitions from historic to contemporary, local to international. With free entry to all galleries, Tandanya is a great way to immerse yourself in the culture and history of Australian Indigenous art. Open 9am-4pm Monday to Saturday. A fixture of Adelaide’s CBD for the past 140 years and still going strong, Central Market gives Melbourne’s Queen Victoria Market some interstate competition. Packed to the brim with over 80 stalls under the one roof, there’s colour, chaos and plenty of delicious snacks to keep you satisfied while perusing some of Adelaide and nearby’s tastiest produce. Open Tues-Sat. Exploring the diversity of Australian landscapes, Above and Below features the cream of the crop from Indigenous and local artists, with pieces from Fred Williams, George Tjungurrayi and John Olsen. While you’re there, why not spend some extra time to take in the rest of the art gallery’s extensive collection. Another must-see at the Art Gallery of South Australia, sculptor and installation artist Nicholas Folland curates over 10 years of works into this cornerstone collection. Complimented by selected works from the Gallery’s collection, the exhibition will take you to a realm where familiar objects are reimagined, and new worlds constructed. If you aren’t able to get out to the wine regions but want to experience Adelaide’s best brews, the sprawling National Wine Centre of Australia offers a cellar door, group tastings and a ‘Wine Discovery Journey’ for you to get acquainted with the local wine selection. Sitting pretty amidst the Adelaide Botanic Gardens, it’s the perfect way to spend a sunny afternoon. Dedicated to emerging artists, Greenaway Art Gallery hosts both rotating exhibitions and an impressive catalogue of works from key names to know on the Australian contemporary art scene (Adam Cullen makes it in there with multiple pieces available to collectors). Take a look when painter and Archibald Prize finalist David Griggs brings his kaleidoscopic ‘Yum Yuck Hippy Paintings’ to the gallery from September 7. To celebrate Melbourne’s creative culture The Blackman got a touch of tonality at an exclusive penthouse party for Yelp Elite Members on the 12th of July. As part of our Winter in Melbourne agenda, we’re reviewing all the events you need to get along to. This week, we've got a storytelling slant; film and literature.